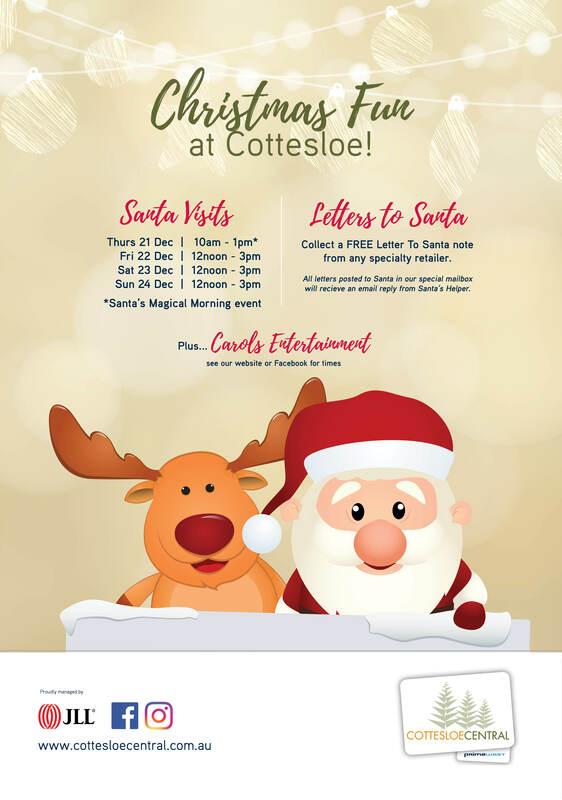 Santa will be at Cottesloe Central at the following times! 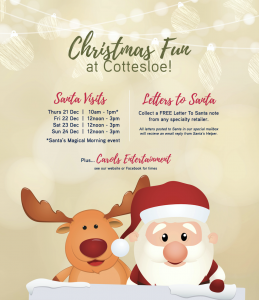 Collect a FREE Letter to Santa note from any specialty retailer. All letters posted to Santa in our special mailbox will receive an email reply from Santa’s Helper!